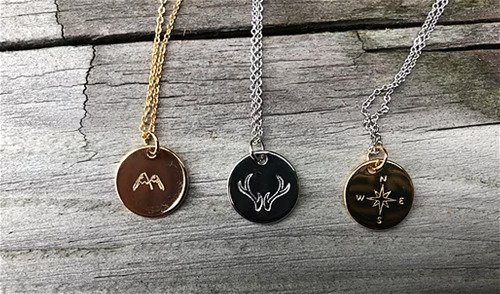 Whether you choose from one of our generic designs or customize your own, our jewelry is designed to help your customers show off what means the most to them. 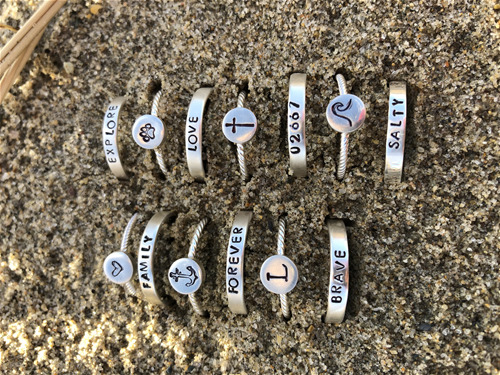 Each item is hand stamped which makes them all unique. No two are ever alike. 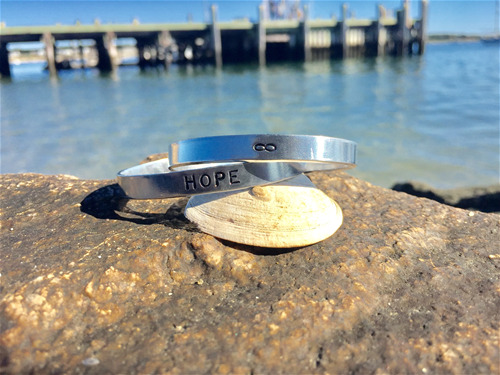 For every item sold Nautically Northern donates $1.00 to charity. We are offering 15% off all opening orders placed at American Handcrafted. Cuffs are 1/4" wide and 6" long. All cuffs are open in the back so they can be adjusted to fit. 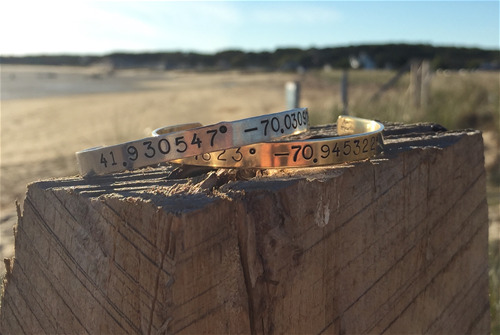 Design your own collection of cuff bracelets. 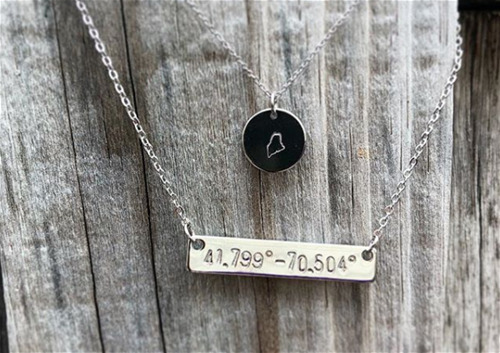 Each item is hand stamped so there is no minimum quantity. 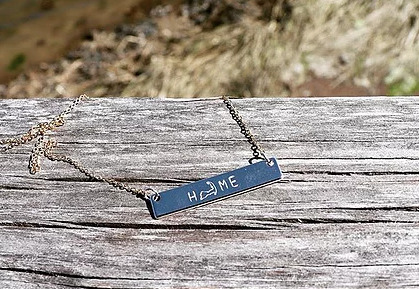 Sterling silver chain - 17"
Choose from one of our sayings or customize your own! 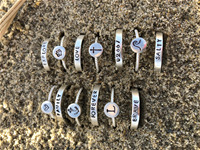 Our .925 Sterling Silver rings are all hand stamped in the United States and available in size 5, 6, 7, 8, 9.